Welcome to my website! You will find here more information about who I am, my projects and the services I offer. Can we Improve the World Through Personal Development? The following article was first published in Jönköping International Business School’s magazine in 2011. It is based on ideas that crossed my mind during a particularly happy time of my life, in 2010, when I felt I wanted to make a contribution, to give something back to the world but just couldn’t decide how. I discussed these ideas a couple of month later with a friend who was in charge of the university’s magazine and who found them interesting and suggested that I wrote an article on the topic. I did, as much as a way to organize my thoughts and put them on paper as a way to open a debate and exchange opinions. Later on I based my Master’s thesis on similar concepts, although more focused on entrepreneurs & business owners this time. The result was a bit clumsy but I believe suggested interesting thoughts worth investigating further. Likewise, the following article is a little clumsy too, perhaps unclear on some parts, but I like to think that it contains valuable ideas, especially in the troubled times that are ours now, which is why I wanted to publish it again though online this time. I’ve added some thoughts and comments at the end that reflect the insights and experience gathered since the article was first written. If we were to give a definition, although debatable, it could be summed up as the enlargement of our consciousness, to make a better use of our free-will (meaning seeing more things, waking up, and being able to make responsible choices) and to understand the world better. It is important to note that Personal Development is not a philosophy or a religion; it is a mindset, a way of thinking based on actions, not talk or unquestioned beliefs. Action is wisdom – we learn through it – and one can develop no matter where one starts from and what one believes in. The enlargement of one’s consciousness and the mastery of one’s life bring happiness, and that is why Personal Development is relevant. It is important to understand that true peace and long-lasting joy do not come from the outside, but from the way we think about and see the world. Without surprise it demands a lot of personal commitment, along with a bit of knowledge and possibly some support. It requires time, work and a strong will. Knowledge can be found in books, some movies, or ideally through the help of a master/mentor/coach, but then it is up to each of us to apply it. The good news is that all the necessary resources can be found within ourselves, thus ensuring that anybody can develop. What Can the Results Be? Developed people are “great” people (different from “good” which refers only to technical skills); they have “something more” than regular people, they seem to be “good at being humans”. I’m sure we all know somebody who, for some reason, just needs to be around to make us feel good, peaceful. Somebody who seems strong while friendly and accessible – somebody simple but not simplistic. 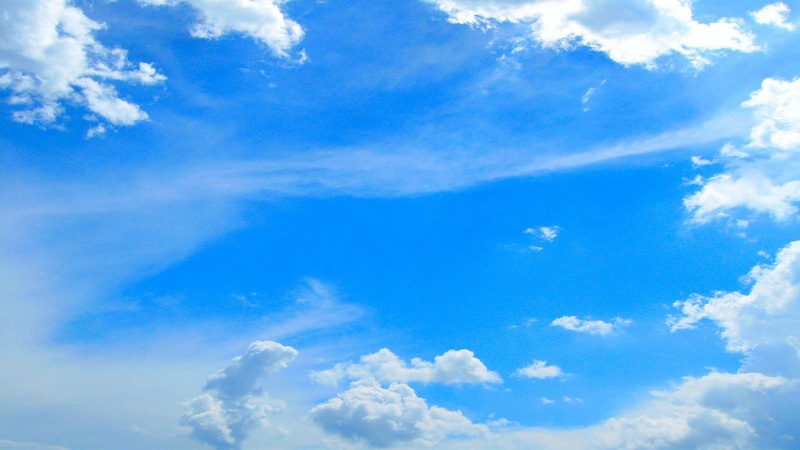 How Could Personal Development Impact our Lives and our Surrounding Environment? First it is important to understand that our world is fractal; the small is the same in nature as the big. A snow flake is made of countless little snowflakes with the same pattern. A leaf is made of a main root dividing itself into small branches, precisely like a tree… And countries are made of people. Thus the emotions and behaviors involved in an argument between two persons are similar to the ones involved in wars between two countries. Therefore a change on the individual scale would lead to a change on the global scale – if people, on an individual basis, work towards abolishing their negative emotions (e.g. fear, doubt) this would apply to a higher level such as countries and to the world. The second point is that happy people will tend to be ready to Serve, meaning acting toward a goal higher than themselves. 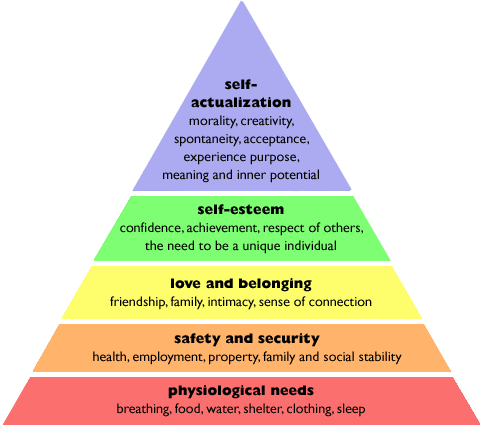 Since their happiness comes from their way of thinking, enabling them to fulfill their ego’s needs in a long-lasting way (see Maslow’s Pyramid of the Human Needs to know more about Ego and Self needs), their actions will aim their Self-Actualization, which is best attained through Service. Thus the answers to pollution, wars, famine, disease, financial crisis and so on will come from individuals who follow their dreams and feel compelled to act for the world (serving). I think Personal Development should be taught in a systematic manner. The knowledge spread by books or through personal coaching should be gathered and ordered, and possibly integrated to the education system (schools and universities). Key concepts such as how to see the world, how to think about oneself and others, and traits such as self-confidence are useful for anyone in any given situation and they should therefore be taught and introduced during dedicated courses & seminars. For none of this is easily available or widely spread. • Acting on the individual scale rather than the global scale and counting on the fact it will spread and end up changing the global situation. • Acting on people’s mindset/inner truth (identified as the cause) rather than the outside world (identified as a consequence). This way of thinking has interesting consequences, among which the fact external factors (technological innovation, new laws & agreements, etc. ), which traditionally receive much attention, become nothing more than entertainment, food for curiosity, but without any real meaning for the future of mankind EXCEPT when they appear as a manifestation of someone’s will to contribute to the world. And so the main focus of each person and society as a whole should be on the individual’s own development rather than external changes. The next time you listen to one of these great Ted Talks, pay extra attention to how much extremely competent and passionate people with groundbreaking ideas actually refer to a mindset they either had or have learned. How many talk about courage / perseverance / following a dream / knowing they’ll prevail no matter the circumstances / the need to give something back / the need to enjoy the everyday life? Those are all concepts from Personal Development. Some people learn them in books before applying them in their life, others learn through life and talk about it, sometimes they’re introduced in fancier or simpler ways, but it always boils down to the same ideas and they’re always behind any kind of success. The real challenge however is to define “Personal Development” and the related mindset it supposedly leads to and that is at the core of “feeling good”. As acknowledged in the introduction this article is a bit clumsy, especially in how it introduces each part and connects them together (the place of Maslow’s Pyramid of the Human Needs isn’t clear for instance). Yet its biggest weakness is doubtlessly the fact it doesn’t give a proper definition of Personal Development, and doesn’t it all come down to it? Unfortunately it proves a difficult task and I still haven’t been able to do any better… What can be said though is that it gathers ideas from religions, philosophies and scientific research. It’s a mix of attitudes and ways of thinking & acting. Some key concepts include building self-confidence, withholding judgment, not letting fear decide of our actions, following our inner truth, controlling our thoughts/meditating regularly, seeing ourselves as a part of the world and not as a meaningless isolated fragment, among other things. 1/ We should act on the mindset as it is at the heart of everything else and the only true source of happiness, which is actually common knowledge. 2/ We should work with concepts from Personal Development. Whoever has tried can easily tell how it can lead to inner peace and I believe its effectiveness is (at least partly) due to the fact it seems based on a deep and accurate understanding of the Human Nature – namely that human beings are positive & creative at the core and only start being destructive & negative when their judgment is clouded by fear, doubt, insecurity, etc. So we’re not oscillating between Good & Bad or are Bad at the core and need to improve ourselves/find redemption; we’re Good but sometimes weak. Moreover this position is backed up by all the exercises aiming at soothing our thoughts (mindfulness, meditation…) since doing those helps us become calm again, have faith in the future & in our abilities, be creative, patient. It seems to imply that negative emotions (and the consequent actions) aren’t our nature but come from the wrong thoughts. 3A/ Feeling peaceful is an end in itself, which is worth remembering. What is there more to attain in this life? What’s the end purpose of all our goals if not to find peace? • By removing his/her negative emotions and the destructive patterns attached to them. After all, happy & peaceful people aren’t destructive: would you feel like plotting against someone when you just become a father/mother? Would you be jealous if you were confident in your own abilities? Would you feel the need to force your views onto others when you just get that job you’ve been dreaming about for so long? And the list goes on (note how the source of happiness doesn’t need to be connected to the negative emotions in order to erase them; the moment we feel great, we let go of any negative behaviors). • By helping to fulfill the various needs identified by Maslow in his Pyramid (via the Law of Attraction – one must feel good now to attract what one wants) and thus climb slowly to the top, where comes the need to Serve (i.e. acting for something greater than oneself). From then on, any action is targeted at improving one’s surrounding and the world. It’s difficult to find examples of actions born out of a need to Serve as the motivations behind any deed are always blurry and few people have reached this stage (and often do so for only a short time). But a typical counter-example would be the current trend for companies to write about the great purpose they serve, which is an attempt to identify themselves as being at the top of the Pyramid and working for the betterment of the world. But in 99% of the cases they’re not there (even more true for bigger companies as the more decision makers/owners the less likely for everyone to be driven by the need to self-actualize) and it becomes obvious when great talks face challenges; the real needs they seek to fulfill then take over. Very true also in the field of politics so it may be better to be honest about the needs one works on fulfilling (or to not mention this at all) rather than introducing something that isn’t current (yet?). • Because peaceful individuals share positive energy with their surroundings, even when they’re still fulfilling needs that are lower than Self-Actualization (meaning they’re working for themselves, not others). To illustrate this I have a great example I very often quote, taken from my semester in Seoul, South-Korea: once during a course, the teacher spent the entire time listing everything that was messed up with the environment because of human actions, in an effort to highlight how important it was to act and contribute to saving the planet. Big talk about Serving, solving meaningful problems, having an impact on this Earth and a goal higher than oneself. The result? I just felt really depressed and sad because of all the negativity he spread. Did he make the world a better place that day? I strongly doubt it. Then a while later that same day I headed back home and walked as usual past the nearby pizzeria owned by a man and his wife and the mother of one of the two (couldn’t figure out which one…). I had been there several times and had always been greeted warmly, on top of eating great pizza. Sometimes I’d see the three of them doing some exercise just outside the shop to enjoy the sun or get some fresh air. Well, in any case I didn’t feel like cooking that day so I just came in and ordered a pizza. No big talks, no great ideas (we couldn’t even communicate given my poor mastery of the Korean language! ), just a full load of positive energy, attitude and feelings. By the time I walked out I was smiling and felt full of hope and ideas for the future. Did they make the world a better place that day? Yes, they did. So what happened during the 20 minutes or so it took them to prepare and cook my pizza? They shared the energy coming from their inner peace. A person’s inner state impacts the world. A person’s inner state matters more than his/her words, ideas and actions. 4/ We can improve the world through Personal Development since the world is made of people, and so all the positive effects on the individual scale described above are bound to happen on the global scale as well. Now what do you think dear reader? Do you agree that we should act on the individual scale rather than globally? On the mindset rather than external consequences? Why (or why not)? Have you ever reached a stage of such intense happiness that you felt the need to give something back? Have you ever noticed the impact of people’s (or your own) inner state on your surroundings? If you choose to leave a comment but it doesn’t become visible within a day then it probably means it has been tagged as spam. E-mail me to let me know and I’ll approve its release! Subscribe to the Blog’s RSS feed so you don’t miss the next post!